Temple Law Japan – Apply Now! Unfortunately due to the predicted inclement weather on Saturday we have to cancel this month’s run. Hopefully the weather will hold up for our final run on November 17. If you have any questions, concerns, or suggestions please do not hesitate to let me know at britt.walden@temple.edu. Join PDLG Vice President of Programs, Lois Kimbol, for an information session about benefits, application process and eligibility requirements. 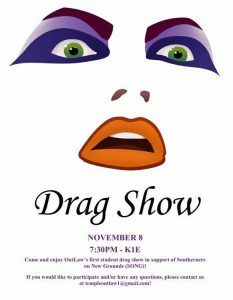 The discussion will be held on November 1, 2018 from 12-1 p.m. in K1D. Questions? Please email lcareer@temple.edu. The University offers flu shots to all community members – information on availability can be found here. Exam information sessions will be held on 10/31/18 at 5:45 pm in K1C, 11/6/18 K2B and 11/7/18 K2B at noon. We will cover important information like: what to expect when you take a law school exam, the exam procedure, software needed, what you can bring into an exam and more. Please bring any questions and concerns. We look forward to seeing you there. Questions? Please email jennifer.bretschneider@temple.edu. The Cybernorms event scheduled for October 29th, from 4 – 6 PM, in room 1KC, has been cancelled. Volunteer judges are needed for Temple’s collegiate invitational tournament. The tournament will be held on November 3 and 4th at Temple University Beasley School of Law. Sign up to be a judge here. We hope you can volunteer your time to this terrific event! 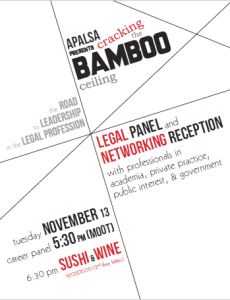 Career Services Events – Plan to attend! 1L Friends and Family Day – October 22-24 – Please Save the Date! 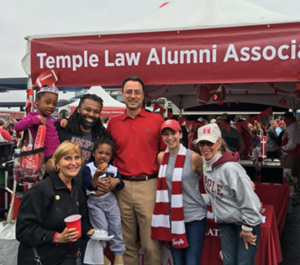 The Temple Law Alumni Association invites you to the homecoming tailgate on October 20th beginning at 8:30AM. The TLAA event will be at Tailgate Village in Lot K. More information and registration can be found here. We hope to see you there! Go Owls! Please plan to attend an informative recruitment program on October 24, 2018, 5:30-7:30pm, 28 Liberty Street, 16th Floor, New York, NY. This program will feature a welcome by Attorney General Barbara Underwood, followed by a panel discussion and table talk session, which will provide insight into career opportunities with the NYS Office of Attorney General (OAG), as well as the talent and skills the office is seeking in attorney applicants. Questions? Please contact lcareer@temple.edu. The Equal Justice Works Conference and Career Fair is the largest national public interest legal career fair, bringing together more than 200 public interest employers to conduct interviews for full-time positions and internships. For more details, visit the website. This event will be held on October 26 – 27, 2018 at the Hyatt Regency Crystal City at Reagan National Airport, 2799 Jefferson Davis Highway, Arlington, VA 22202. Questions? Please email lcareer@temple.edu. On October 23rd, 24th, and 25th, ACE counselors will be holding sessions to talk about how they outlined for Contracts, Torts, and Criminal Law. As these sessions are subject specific, not section specific, please know you can attend one session as you see fit. The Temple Law Review Symposium will take place on October 26 in Klein 2B. Information on this wonderful event can be found here. Students are encouraged to attend and we ask that you please register so that there can be an accurate count for food. Congrats in advice to the students for their leadership around this event! On October 29th, from 4 – 6 PM, in room 1KC, Prof. Hollis’ Regulating Cyberthreats class will be hosting Dr. Eneken Tikk and Dr. Mika Kerttunen in a discussion about their new book entitled “Voluntary, Non-Binding Norms for Responsible State Behavior in the Use of Information and Communications Technology: A Commentary.” The book explores developing and implementing norms of responsible state behavior in the context of malicious cyber activities in peacetime and asks whether they are in the interests of the US or other countries. Dr. Eneken Tikk is currently a Senior Researcher at Tallinn University of Technology, an Adviser for the ICT4Peace Foundation, and has participated in the Estionian delegation to U.N. efforts on global cybersecurity. Dr. Mika Kerttunen is Director of the Cyber Policy Institute and has advised the Finnish delegation to U.N. efforts on global cybersecurity. Please RSVP to Erica Maier at erica.maier@temple.edu. We invite all 1L students to bring their friends and families to Klein Hall for 2018 Friends and Family Day. 2019 D.C. Law and Public Policy Program – Application Now Open! Our financial wellness partner, AccessLex Institute, will be hosting two events about student loan repayment. All students are welcome to participate, particularly 3Ls and 4Ls approaching graduation. The first event will be a webinar, Your PSLF Action Plan, where participants will learn about the requirements of the federal Public Service Loan Forgiveness Program. The first date for the webinar is Wednesday, October 17 at 7 pm and it will also be offered a few more times later this month. If you are interested in participating in the October 17th webinar, you can use the link below to register for the event. Wednesday, October 17 at 7:00 pm. The second event will be a Facebook live chat, What you need to Know about Student Loan Repayment, that will focus on the student loan repayment options and strategies for loan repayment. It will be held on Thursday, October 18 at 1 pm and you can join the event on that date using the below link. 30 Days To Resume! Everyone should have received an email written by your assigned career adviser with information on the 1L Resume Workshops. At the Workshop, we will be reviewing the basics of a legal resume and working on revising your existing resume at the end of the workshop. Therefore, please bring your laptop with a copy of your resume on it. The email you received identifies which adviser you are assigned to and which time slots are available for your Resume Workshop. If you did not receive the email OR you don’t know which time slot you should sign up for, review your emails and CPM. If you are still unsure, email us at lcareer@temple.edu. All time slots are below and are specific to a Section unless Jorge Godoy, Director of Public Interest Programs, is your assigned adviser. Join speaker, Heather Jarvis, an expert in the field of student debt, as she shares information that will help you get a grip on your student loans. The New York State Public Defenders Career Fair is a wonderful opportunity for current law students and recent graduates to meet with public defense offices and other criminal defense providers from across the state who are recruiting potential attorneys and student interns. Attendance is free. For more information and to register online visit bit.ly/PDJobFair. The application period for the D.C. Law and Public Policy Program is now open for 2L, 2LE and 3LE classes. The priority deadline is November 20, 2018, and the final deadline is January 25, 2019. Apply early! Applications will be reviewed on a rolling basis and space is limited. 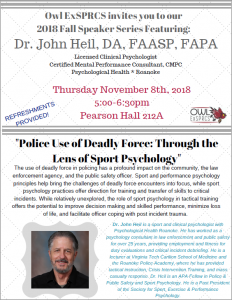 If you have questions about the program, please email Prof. Nancy Knauer at nancy.knauer@temple.edu. The CPM posting can be found here. The FBI is seeing legal interns. This opportunity is posted on the CPM but is not yet visible to our 1L students so we wanted to mention it here. The Deadline for applications is October 14, 2018. Please note that we are allowed to announce this position to 1L and upper level students because NALP makes an exception for positions involving background checks. Questions? Email lcareer@temple.edu.